bluetooth module flows throught inductive coil. The coil creates a magnetic field and drive receiving coil inside an invisible earpiece within magnetic field. The invisible earpiece should wear in left ear because inductive hearing coil is build-in left side of glass frame. The glasses are flat, you can change to any degree as you need. 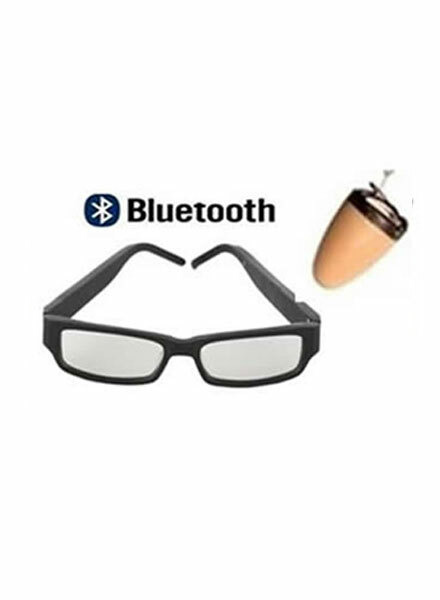 Use earpiece and glasses at short distance..